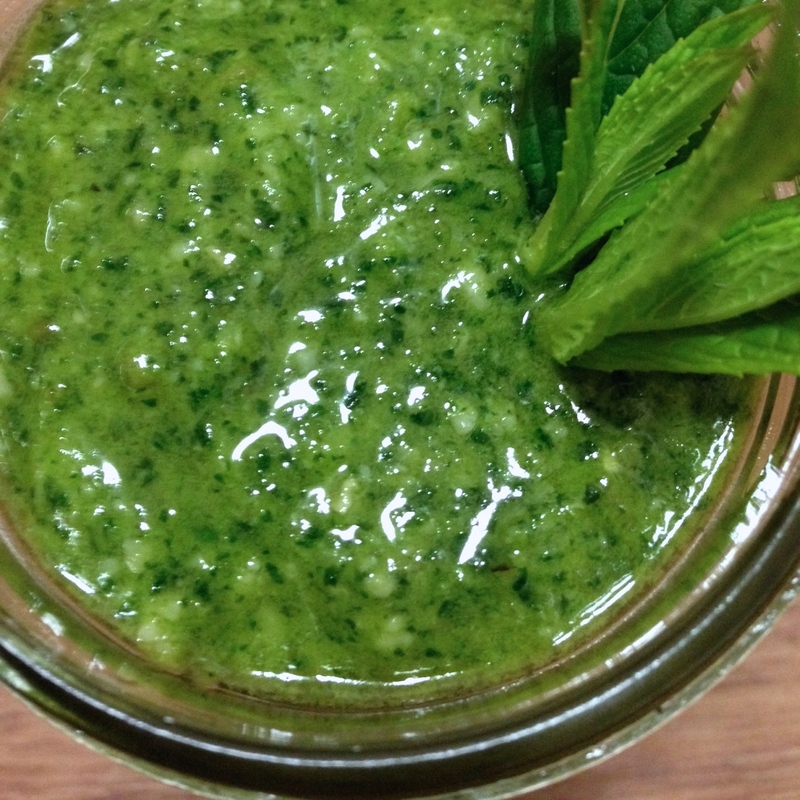 I created this fresh mint pesto to use as a base on my lamb pizza, but it could be used in all manner of things: tossed through hot spaghetti with peas, dolloped on seafood, in a salad dressing, as an accompaniment to lamb cutlets, as a spread on a sandwich or wrap. I love making pesto in larger batches because it freezes so well. I spoon the mixture into a flexible muffin tray to freeze it, then once frozen, pop them out and store them in in a zip-lock bag back in the freezer. I have lots of muffin shaped items in my freezer, and no actual muffins! They defrost very quickly (in the microwave for 30-40 seconds), so are perfect to use in a last minute dinner. 1. Place the mint, nuts, parmesan and garlic in a food processor, and blitz until well combined. Scrape down the sides of the bowl. 2. Add the oil, and a squeeze of lemon juice (to taste), and blitz up again. Taste, and add more lemon if necessary. 3. Store in a jar in the fridge for a couple of days, or transfer to freezer (see my comments above the recipe regarding freezing pesto).